If you ever thought that you didn’t have a talent or something to share with others that others would benefit from, you’d be very wrong. Everyone has an ability in something that makes them an asset. If you look at the many services offered on websites like Fiverr, you’ll see everyone and their brother offering something. Be it poetry, singing, copywriting, video-editing, drawing, etc. It’s that one specific talent that can put you in a position of being an authority. It can give you an advantage where people are willing to pay you, confide in you, learn from you. It’s your opportunity to be a coach and teach others. The online coaching industry is worth multi-millions of dollars. People would much rather learn from a real coach than learn from videos. Reason being that rather than trying to put pieces together which might cause even more confusion, having a coach means a more streamlined and structured process where things are laid out in a simpler and easier to digest manner. In this guide, you will discover how to begin your own online coaching gig. You’ll learn how to find your space and ensure it’s profitable, the various models available, the many benefits of being an expert, setting up your system and much more. Once you’re set up, it’s a breeze and you’re off to the races. Everything in the business world and in life is about simplicity and convenience. Coaching is a prime example of both where people can learn from an expert, have their questions answered, and have hand in hand guidance so to speak. You will also learn how to take your coaching to the next level by offering your expertise through other mediums such as books, courses, video content, webinars, etc. This is your best investment if you’re serious about being a coach and having your own business. 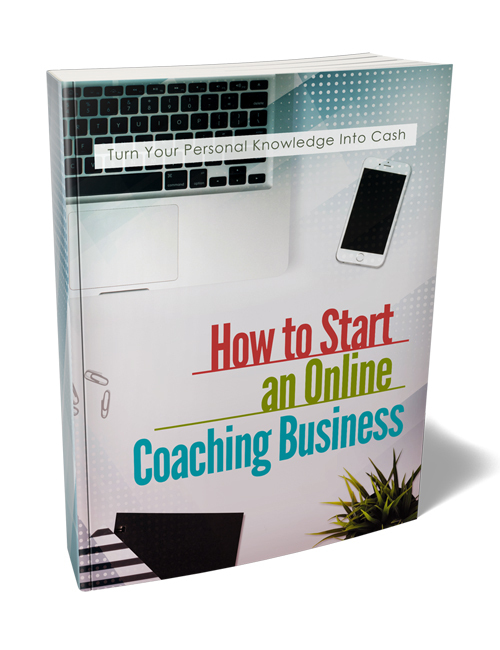 You can also get the Online Coaching Business videos with this ebook. Hit the download button now.